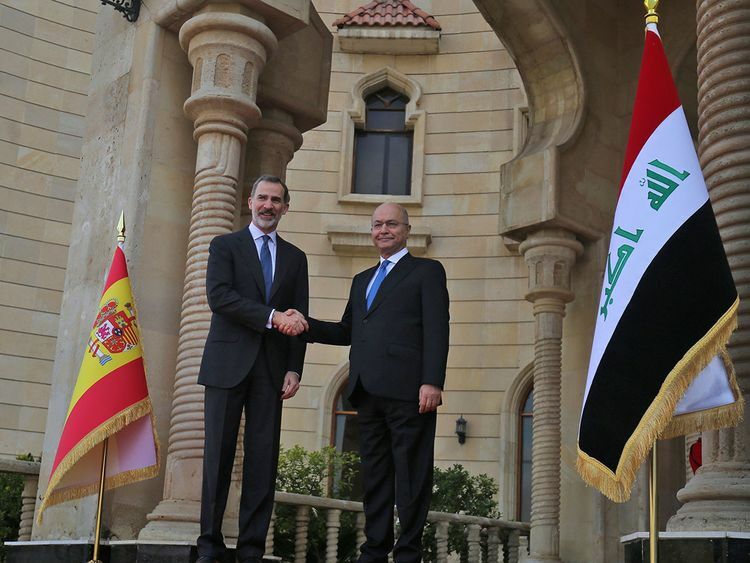 Baghdad: Spain’s King Felipe VI arrived in Iraq on Wednesday in the first visit there by a Spanish monarch in four decades, a diplomat told AFP. The king, whose country is part of an international coalition battling Daesh, visited Spanish special forces and was set to hold talks later in the day with President Barham Saleh. Iraq in 2017 declared victory over Daesh following a bruising months-long campaign backed by the coalition, which continues to carry out operations against the militants.